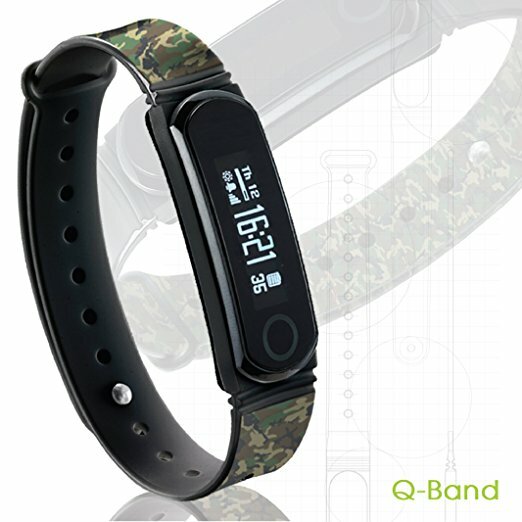 The Q-Band EX is one of the many fitness tracker that have come onto the market in recent years. I was given the opportunity to review the product by the company. After almost two weeks of usage, I think I have formed a pretty solid opinion about it. So if you are looking for firsthand experience about this product. In full disclosure, I was given this product to review (along with the Q-Band HR). However, it does not affect my opinion of the product at all. 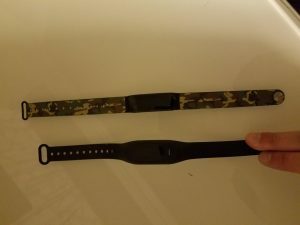 And before the Q-Band EX, I have tried two other fitness watches so I do have something to compare to. For being how cheap it is, this thing is packed with features. All I really needed was a step tracker but so much more was included in the Q-Band EX. The design of the watch is very simple and elegant. 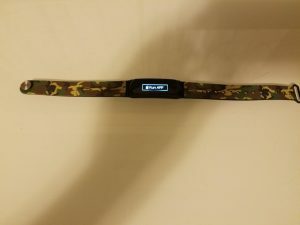 The watch is made so that you can switch the band inside out as camouflage may not suit everyone. The other side of the band is black. It does make me wonder why they decided to go with camouflage as their default. Not too many people like camouflage as their primary color. But yeah, if camo isn’t your cup of tea, switch the band inside out to wear it black. The screen is monochromatic. I am not sure if that is normal or not but the fitness bands I’ve owned were all monochromatic. The watch overall is extremely lightweight, which makes it ideal for jogging or doing other high intensity activities, especially activities involving the arm. I really do forget that it is on my wrist sometimes. The charging port has a clasp that you close once the band is in the port. 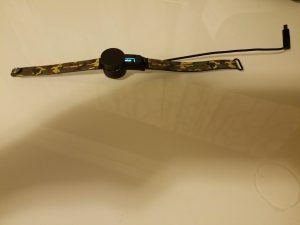 It uses a USB connection so you can connect it to your computer or a USB power adapter. The battery life on this app is really solid. If you don’t wear it all the time, it will last you more than 2 weeks without charging. 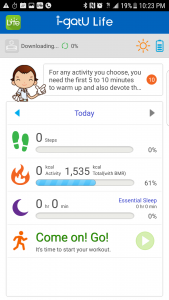 The fitness band is paired with the i-gotU Life app. The app is pretty intuitive and connects pretty easily to the watch. 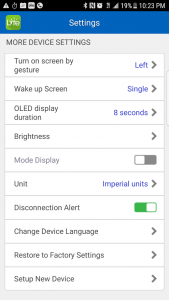 Be sure to fully charge the phone first and follow the instructions before connecting to the app. The instructions are extremely easy to follow and is only one page (front and back). After connecting to the watch, it will have you enter in your information to give you more accurate statistics. 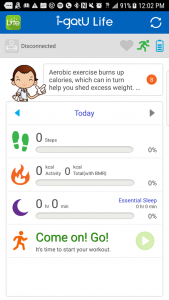 The app allows you to set daily calorie and step goals. The default step goal (for me at least) for me at least is 10,000 steps and 2,500 calories per day. Here is one thing about the app though, it will want to be kept open and on the whole time. You do not need to keep it open and synced the whole time. It will kill your phone battery if you do that. Instead, just exit out of the app if it’s open. Then just come back and sync your stats a few times a day. But if you do decide to keep it continuously synced, be sure to keep a charger nearby at all times. In terms of accuracy of steps, this watch is much more accurate than my other fitness bands. I wore this fitness band and one of the other cheaper ones and this one had almost less steps by the end of the day than my other watch. In terms of calories burned, I didn’t wear it too much when I did hard cardio because sparring doesn’t allow you the leisure of being able to wear a fitness band. However, when counting calories from my walking alone, it is fairly accurate.